The College of Business and Behavioral Sciences has outgrown its current location in Sirrine Hall, one of the original academic buildings on campus. 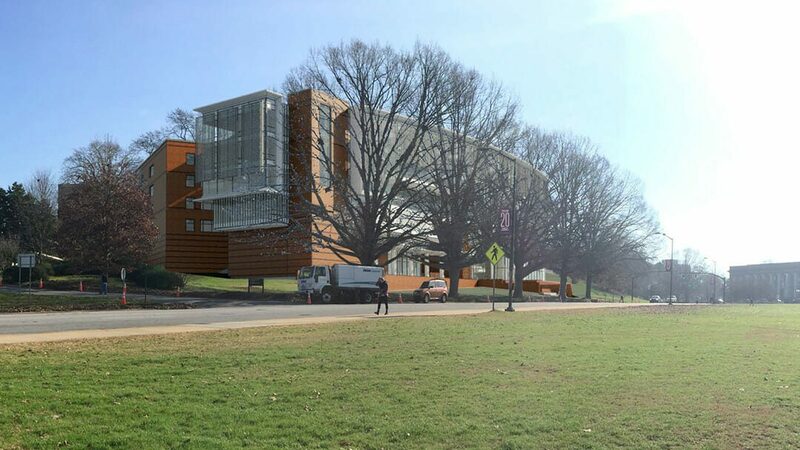 The Business program will be relocated into a new facility being constructed adjacent to Clemson House, overlooking Bowman Field. 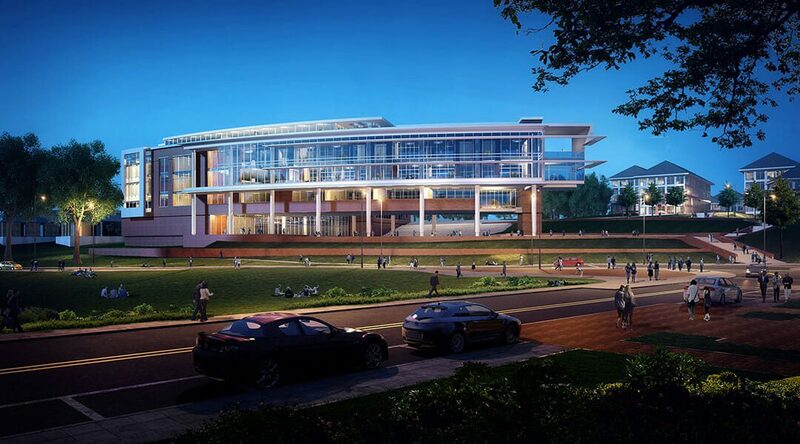 Clemson wanted to place the new College of Business in a more prominent location on campus and create a destination for the CoB students. 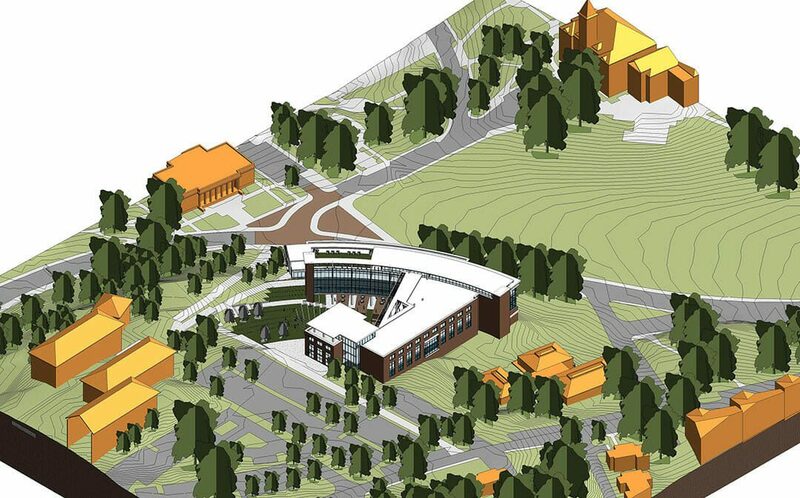 The design embraces Bowman Field, while also creating a synergy with Sikes Hall, and reinforces an axial relationship between the new Douthit Hills project and the iconic Tillman Hall. The new building will be approximately 160,000sf and 4 stories tall, respecting the scale of surrounding facilities. 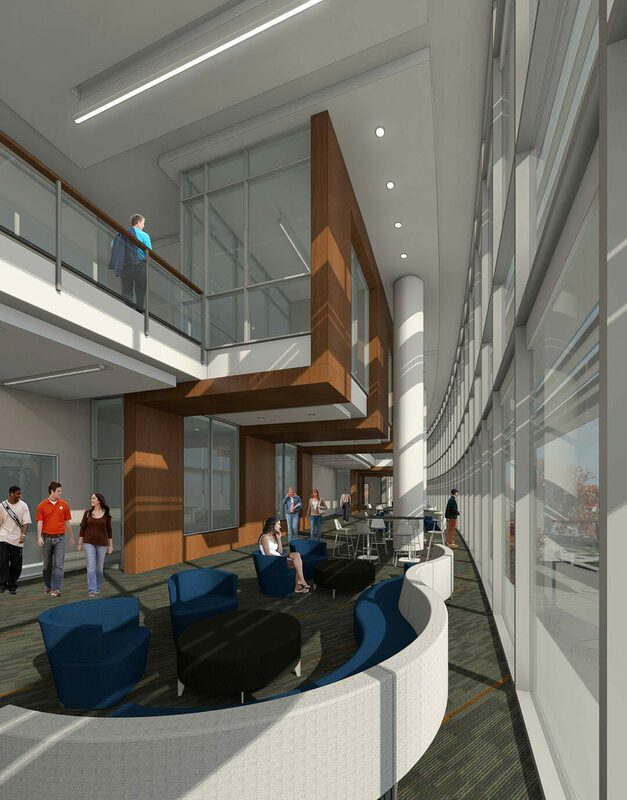 The design creates an open, inviting, transparent relationship between all of the program elements and the exterior, showcasing the energetic and innovative activities within the College of Business. This project was designed in association with Perkins+Will.